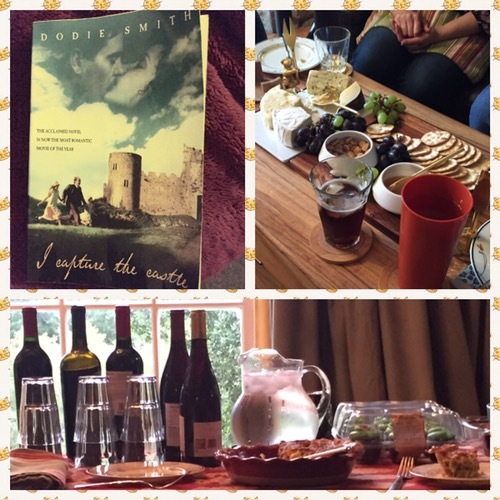 We read I Capture The Castle for Book Club this month and I completely fell in love with it. It was a coming-of-age story written in the eyes and voice of the main heroine, Cassandra. This book was published in the late 1940s and set between the wars. It had a Pride & Prejudice feel at the beginning yet would steer its own path as the story unfolded. What I love about this book was the consistency of the tone and progression of the characters. Cassandra and her family developed and matured right before my eyes. Their eccentricities and unique traits were also in line with their reactions and decisions towards the middle and end of the story. There was also no shortage of interesting characters in this book – from the witty yet consciously naive, Cassandra, her very strange father, her stepmother with an intermittent sense of humor, her secretive and almost vile sister, her smart and funny younger brother down to the handsome and loyal servant, etc. The author’s writing was also very fascinating. It was not just seeing but also feeling Cassandra’s life – the castle, her struggles, her poverty, her dreams. In the three days I spent reading it, I felt like I walked her life and also had some nostalgic feeling about my own life when I was seventeen. Though it was of a totally different culture, the emotional struggles (relationship-wise) of a teenager was universal. The ending was how I thought it should be. Each conclusion was a product of each person’s growth – again very consistent. I’d prolly re-read this in the future and see if like any great books, I’d discover new things. Well one of my chums claimed to find the language too simplistic. Whereas I thought that was a strength!